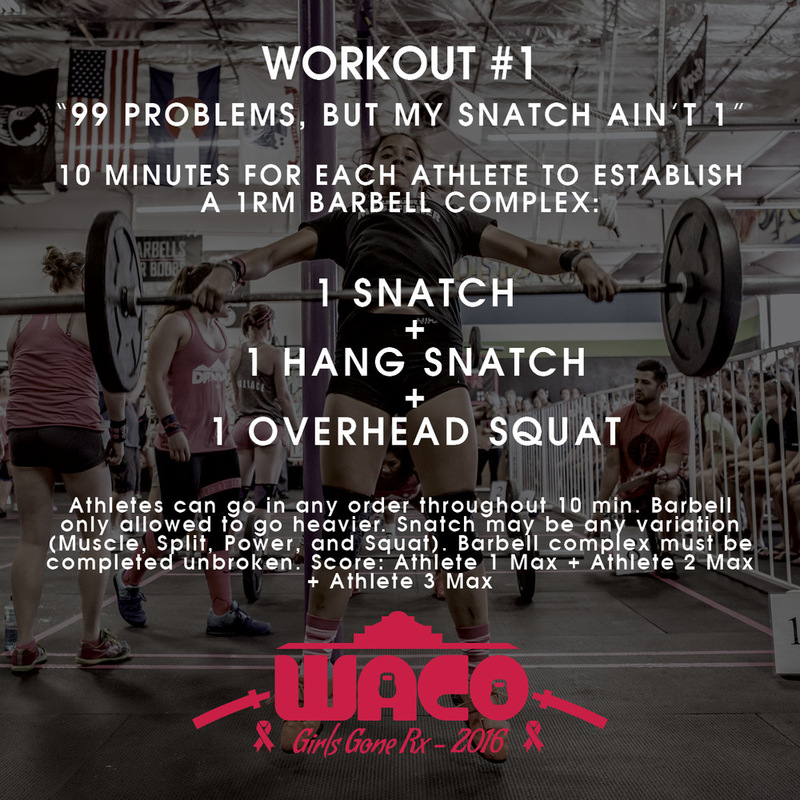 GIRLS GONE RX IS PROUD TO ANNOUNCE OUR FIRST ANNUAL EVENT IN WACO! Compete for a Cure! Our all-women competition encourages fun and fitness while raising awareness for Breast Cancer. This event benefits Bright Pink, so come out and Compete for a Cure. Raise $600 and each team member gets a Bright Pink shirt. Plus top fundraising team is getting Gift Certificates from From Thick To Thin, Savage Barbell, and more swag! We do not do refunds for our events, but will happily accept team exchanges if you can find a team to switch with.